New Delhi : Cricket legend Sachin Tendulkar on Wednesday launched his autobiography – Playing It My Way – in the presence of his famous teammates. 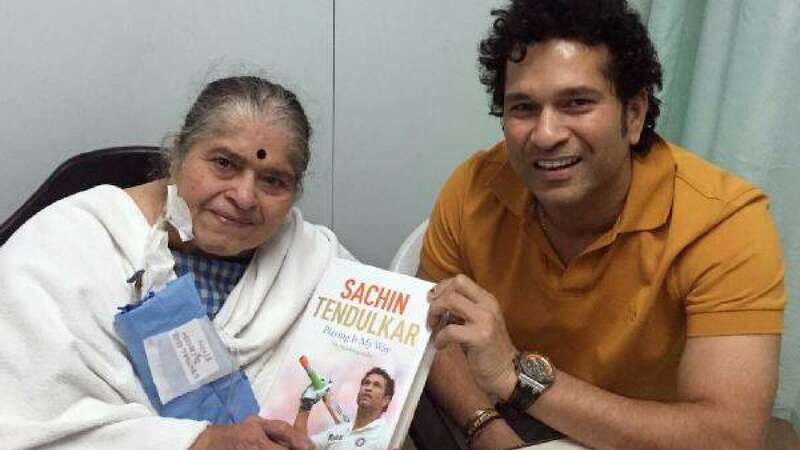 - Before attending the launch event, Sachin gave first copy of book to his mother Rajni. - Sachin then attended the event and gave a copy to his mentor and childhood coach Ramakant Achrekar. - His daughter Sara was also present at the launch event. - "I would like to present the first copy after launch to somebody very special in my life, Tendulkar said before handing over a copy of the book to a wheelchair-bound Achrekar. - Before the official launch of the book, a pre-launch ceremony was hosted by famous Harsha Bhogle. - Teammates and famous characters who are featured in the book were the participants of pre-launch panel. - The book has already hit controversy as Sachin slammed Chappell for some serious issues in team India. - Many cricketers like Dravid, VVS Laxman and Harbhajan showed their support to Sachin and his claims against former Indian coach Greg Chappell.